A Navy nurse is making waves for refusing to force-feed inmates participating in hunger strikes at the prison complex in Guantanamo Bay, Cuba. 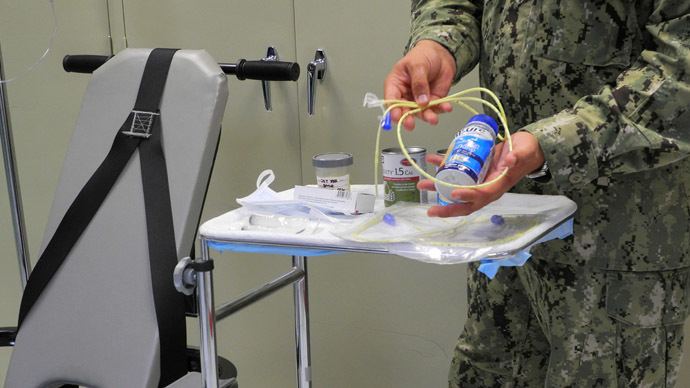 The unidentified nurse – described by one inmate as a 40-year-old Latino – is believed to be the first conscientious objector to Guantanamo’s controversial tube feeding policy. The news comes as US District Judge Gladys Kessler prepares to hear complaints regarding force-feeding from prisoners who object to the procedure on humanitarian grounds and believe it to be torture. 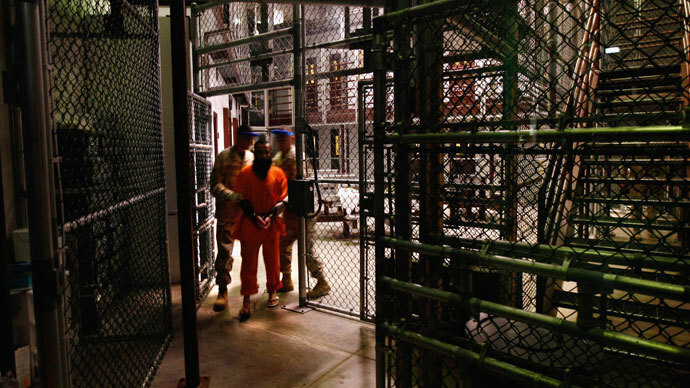 According to the Miami Herald, it first learned of the development from attorney Cori Crider, who represents Guantanamo inmate and frequent hunger striker Abu Wa’el Dhiab. In a phone call with Crider, the 43-year-old Syrian national said that after a couple of months on the job, a male Navy nurse refused to force-feed hunger-striking inmates sometime before the Fourth of July. Once the nurse made his decision, he was reportedly moved to other duties. As RT reported previously, Dhiab – who can’t be repatriated due to the conflict in Syria – has petitioned the US District Court seeking to either halt force-feeding or ensure that it’s done in a “civilized” manner. 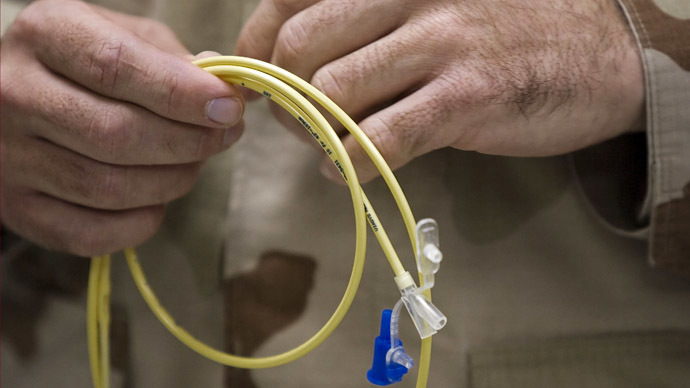 Previously, Judge Kessler acknowledged that the procedure could cause significant and unnecessary pain and agreed to halt Dhiab’s force-feeding. She quickly reinstated it, however, on the grounds that “the Court simply cannot let Mr. Dhiab die” due to his deteriorating medical condition. 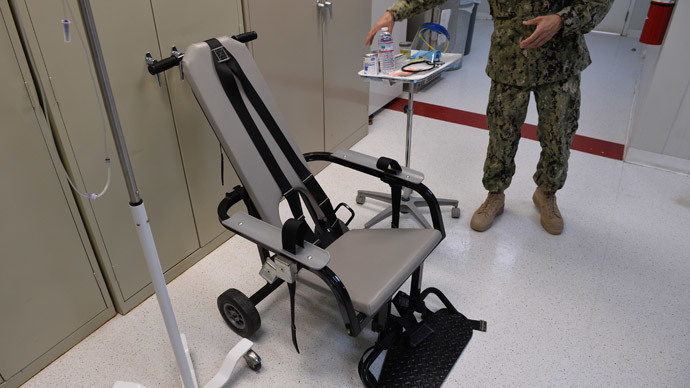 In other cases, Guantanamo inmates have also objected to force-feeding by saying it causes unnecessary pain. Pakistani inmate Mohammad Ahmad Ghulam Rabbani claimed in May that unsuccessful attempts to feed him through tubes caused him to lose consciousness twice, face difficulty breathing, and vomit blood multiple times. 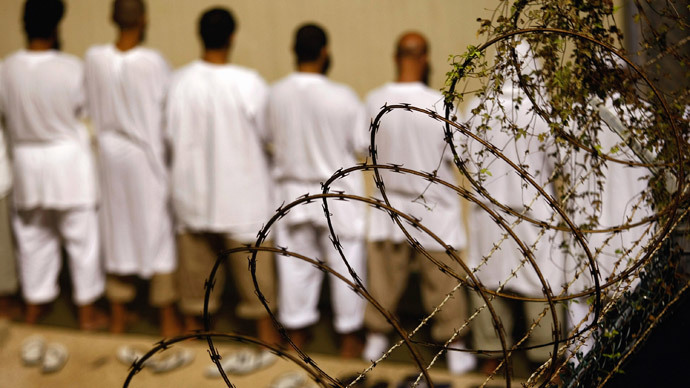 Regarding the Navy’s recent dissenter, Dhiab reportedly told his lawyer that the nurse gradually came to his decision but was always more lenient with inmates on hunger strikes than others were. The strikes have been on and off for the last 18 months. Speaking with the Herald, Navy Capt. Tom Gresback declined to give out many details on the case, but he did confirm it occurred. He did not reveal how many inmates were currently engaged in hunger strikes or being fed via tubes. Meanwhile, Army Col. Greg Julian said the nurse who refused to carry out the force feedings would not be allowed to speak with the press.